This week's Spotifriday playlist, featuring loads of bands, all of whom have appeared on the website in one form or another in the past five or so days. Click here to listen to it. This was Single of the Week, with Wendy Roby writing "It is a glitchy, twitchy-snared dub-ballad with slow, elongated vocals that can’t quite dissipate the air of spooky threat; those Twilight Zone synths in the background are definitely up to something. You know, the roller disco at Bracknell sports centre in 1988 was never going to be the rainbow-lit arena of neon legwarmers I imagined. But that sort of dashed disappointment is precisely why I found music - just like what is happening here - because it makes it all better. B-side and Nautiluss instrumental ‘Bleu Monday’ is, happily, just as big on portent as the lead track. And as gleefully modern as a thing could be." 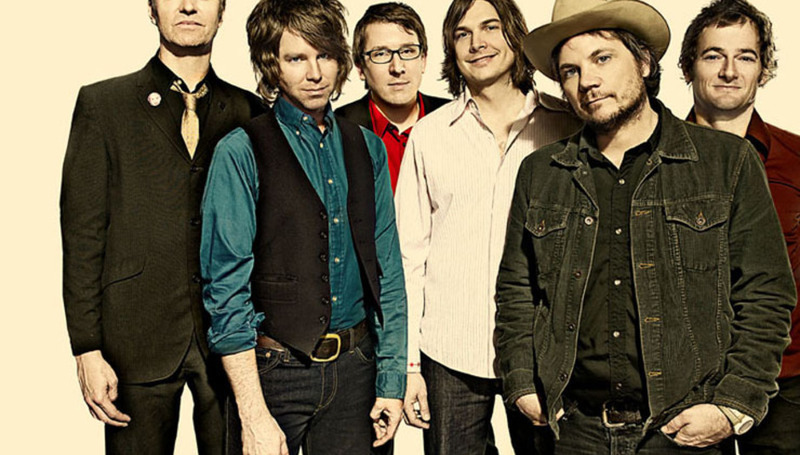 You can't knock Wilco, you really can't. They've got a great back-catalogue, haven't they? Their new one, The Whole Love, might not be their strongest record to date, but that would take some doing. Anyway, it's pretty decent. You can read our review of it here. You may think the same, you may not. But do give it a flick. Dear Old Zola Jesus releases another record, after all those bouts of Stridulum. This is welcome news for some, whilst others really aren't that bothered, like a lot of music I guess. This one's taken from Conatus, which came out on Monday. Again, it's pretty good but do read our full review, written by Dom Gourlay. You won't have failed to notice that sometime over the past seven days marked the 20th anniversary of Nirvana's seminal Nevermind. It's a fantastic record, for sure, but the coverage it has been afforded recently is all out of proportion, in many ways. Still, 'In Bloom' is probably the best track from it. I'm not going to get into a debate about it because it really doesn't matter. Anyway, don't spend too much time on this one and going listen to some music that was made this year, or I dunno in 1967 or something. It remains to be seen whether this track is better than the Pixies song of the same name, but that track had a little bit in brackets about a lady in a radiator, so it's not exactly the same title. Anyway, we gave the album of the same name a whole 8/10 so it deserves a listen if not an actual read of the review. Bloody Mastodon. Making another album in The Hunter which is probably every bit better than Crack The Skye. If our review is to be believed, anyway. And why on earth would you not want to believe our review? That'd be absolute madness, no? Here is a track by OFF!. And here are some photos of OFF, at XOYO in London. I believe you pronounce that Zoy-oh. That's what I've been led to believe anyway. Choose your own path. Jim Reid of the Jesus and Mary Chain is still knocking about, would you believe? Here's a pretty extensive interview with him from earlier in the week. Again, it's a good read, so get your teeth into it, la. Dom Gourlay has been busy interviewing legends, it seems. Here's another one with some fella from a band called Bauhaus. Again, it's a good, in-depth read, so worth your time. Click here to listen to this week's Spotify playlist and here to browse our archive.